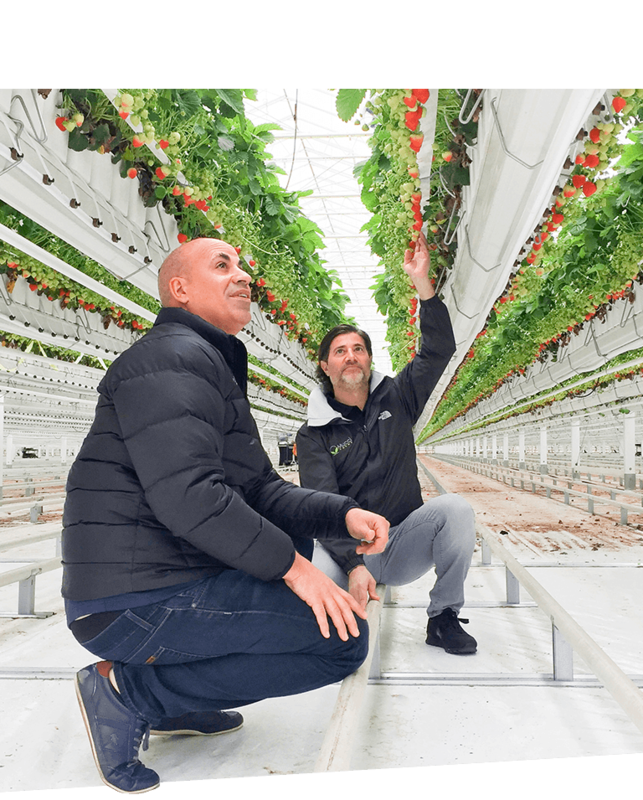 Mucci Farms is an industry leader with greenhouses in two countries, equipped with world-class technology and a dedicated team of over 1200. 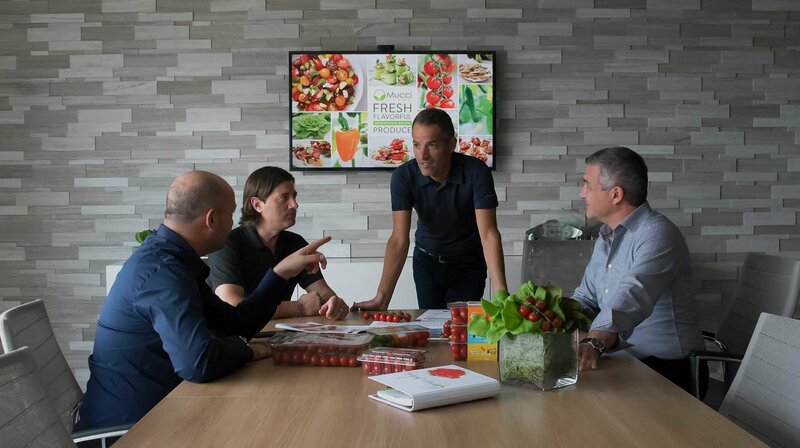 Our humble beginnings started over 50 years ago when two brothers from Italy immigrated to Canada with a passion to grow fresh, flavourful, fruits and vegetables. A generation later, Tony and Gino’s children have taken the company to new heights with a variety of commodities, aggressive expansion and the launch of Mucci International Marketing Inc., the Sales & Marketing arm of the organization. 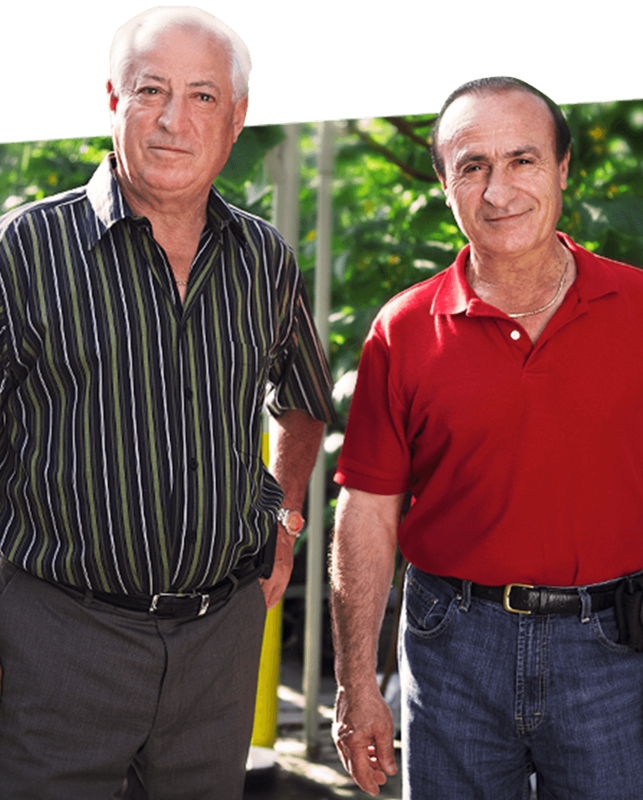 Bert, Danny and their cousin Gianni Mucci partnered with close family friend Joe Spano to grow our company into a substantial, award-winning leader in the greenhouse industry. With an emphasis on efficiency, we make significant investments in state-of-the-art automation and robotics to provide consumers with the highest level of food safety and maximum shelf life for all of our products. Vertically integrated from seed to retail, Mucci Farms owns and operates over 250-acres of tomato, pepper, cucumber, eggplant, lettuce and strawberry greenhouses in Kingsville, Ontario and Huron, Ohio and markets for over 700-acres across the continent.